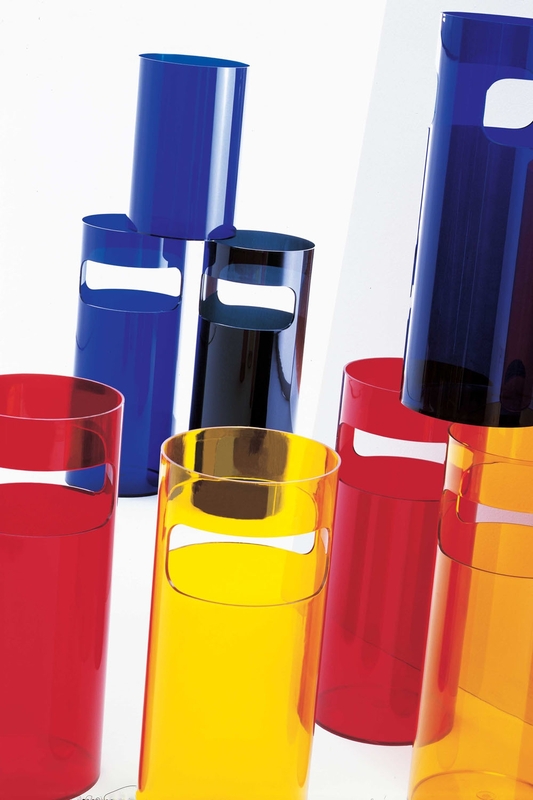 The cylindrical, injection-moulded Umbrella Stand container is glossy, colourful, easy to clean and indestructible. 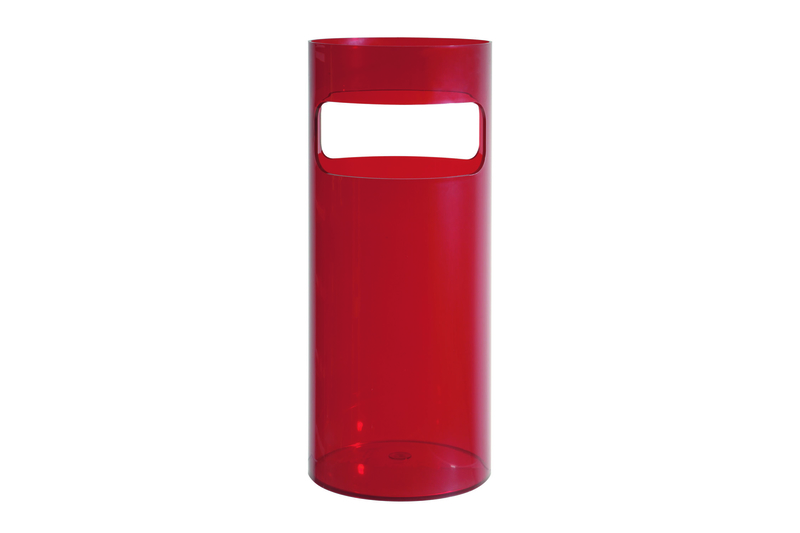 The circular stand is characterized by two lateral openings which allow the lower section to be used as a waste basket. The umbrella stand may be supplied with a stainless steel upper tray for use as an ashtray.